One of the most important components of the roof is the roof deck. This part is basically what holds the entire roof up. A good deck is strong enough to carry the weight of the entire roof, including anything that falls on it. At the same time, it also needs to be flexible enough to adjust to the shifting weight of the roof as the materials expand and contract with a change of temperatures. This is why roofing companies place a lot of emphasis on the deck and insist on replacing it during re-roofing projects. To help you understand the importance of a new deck better, we’ve outlined some of the reasons replacing it is an important step during this process. An old deck that has done the job of carrying a roof for a quarter of a century is sure to have structural issues throughout. Even a well-maintained roof suffers from gradual wear and tear, which can be dangerous when a new roof structure is placed on an old roofing deck. The deck might be damaged enough to the point that it could not carry the weight of the new materials. This can eventually lead to even bigger roofing issues and an underperforming new roof. This is similar to the previous issue but has more to do with addressing deck damage that might not be automatically visible. It can be hard to find damage to the roofing deck without tearing off the roof, and a complete re-roofing project is one of the best times to do so. You can choose to just tackle the damaged part of the decking that you encounter, but it might not be as structurally sound as a new deck. The best solution that roofing companies propose will be a complete deck replacement. One of the biggest considerations when working with reroofing is the fact that you will usually be considering an improved roof structure. This could mean an improved truss and joint structure, or a heavier roofing material. Or you might be considering a green roof or adding solar panels overhead. Whichever it is, this will likely add more weight onto your roof. This can be a problem, even if your original roofing deck is in good condition, because the deck is usually put together by your roofing company to carry the weight of the current roof, give or take a few extra pounds due to rainwater and snow. Using a heavier material might max out the weight capacity of your current deck, leading to structural issues. 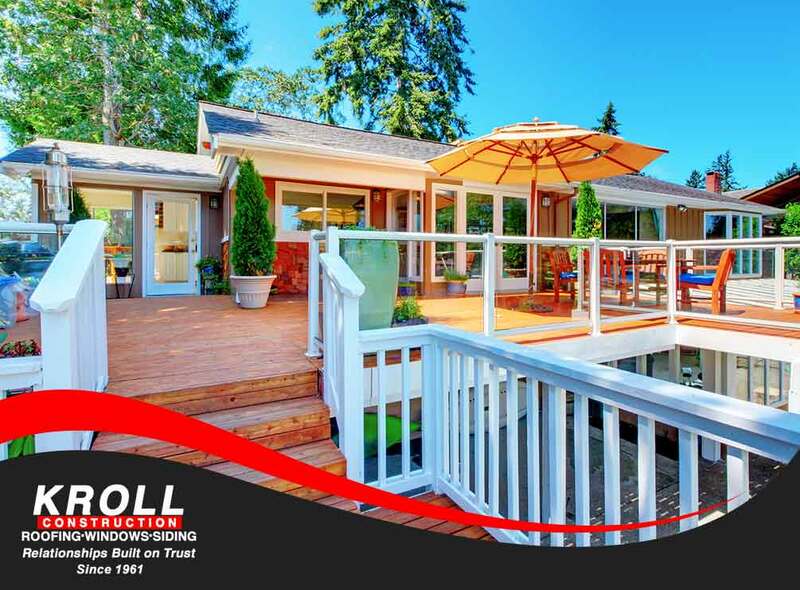 At Kroll Construction, we know just how important the deck is. Find out more about our roofing services by calling (844) 688-9632. You can also fill out this form. We serve residents of Detroit, Michigan.